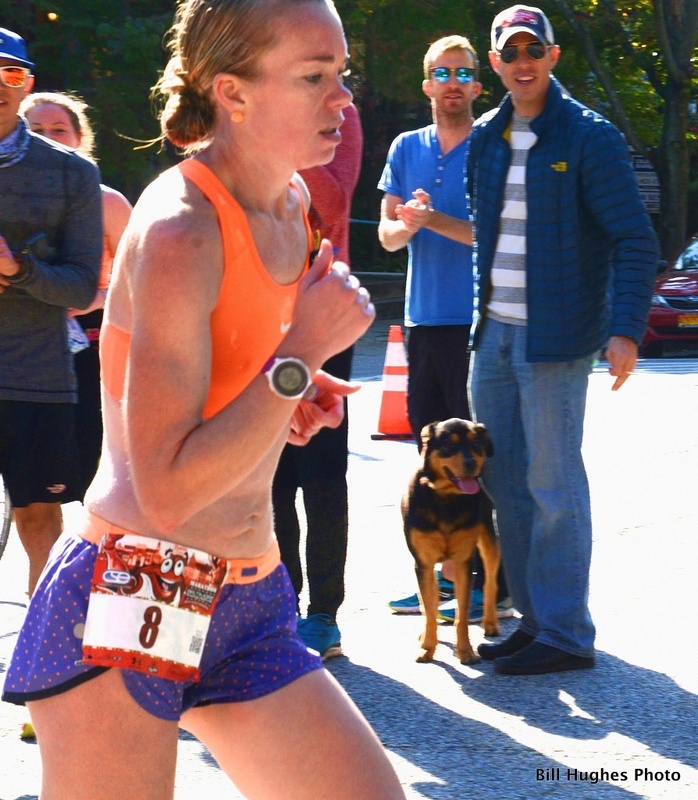 It’s the season for marathons and one of the recent races was the 15th Baltimore Marathon in which Caitlin Gaughan from Scranton, PA came first in the women’s race. In this photo, taken by Bill Hughes, Caitlin is seen running west on 33rd Street, close to Guilford Street. This was about the 22 mile mark of the 26.2 mile race. It was Caitlin’s first outing in the Baltimore Marathon. Her winning time was 2:58:12.